With Father’s Day on it’s way, this year on Sunday 18th June, it’s that time to look for gifts suitable for the father figure in your life, whether it’s for your children to give their daddy, you to give the husband, or give to your own father. For us we aim to look for gifts that are useful and practical along with a few handmade personalised items from the kids. Something that I’d buy either my husband or my dad would be a watch such as this Anthony James Emperor Men’s Sports Wrist Watch. It’s a stylish design that’s practical for everyday wear. It has a rubber strap which makes it comfortable and can easily be adjusted with the buckle. 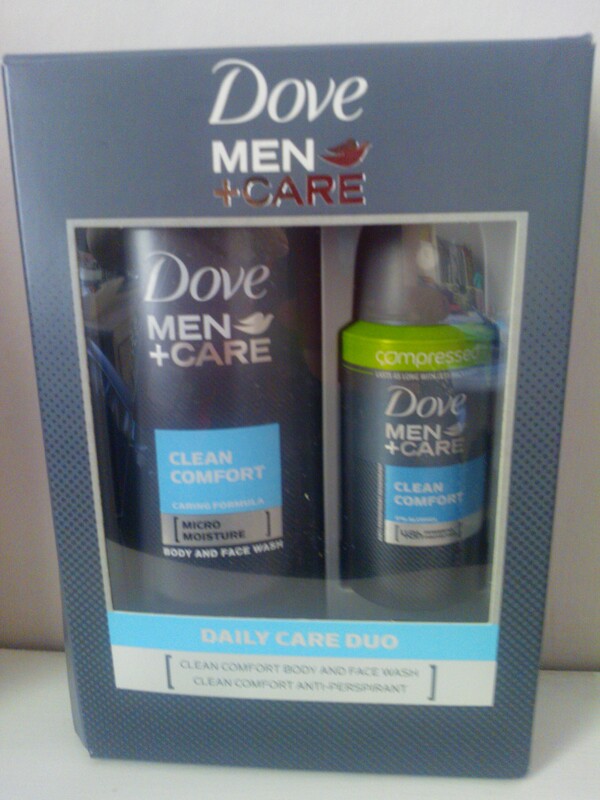 This gives the watch an everyday look which is great for day to day wear for the man in your life. There is also some metal detail on the strap near the face which I really liked. The face of the watch is chunky and clear to read, all in all a winner for someone like my husband! Next up is Sugru, if you haven’t heard of it then it’s a rather ingenious mouldable glue. It can also adhere to a multitude of surfaces such as ceramics, glass, metal, wood, and most plastics and fabrics. In just 24hrs it turns into a durable, flexible silicone rubber that stays put unless you remove it. How fabulous is that? I imagine this will keep him busy for ages fixing and creating things. I’ve already got a few things planned that we can try with this, along with the ideas in the included booklet. This is different, useful, interesting and fun so a great idea to get dad’s who would like something a little bit unusual. Finally, something like a new tablet or phone case is always a popular and affordable option. Whether you opt for personalised or a generic design it’s sure to be a gift that is practical and used daily. 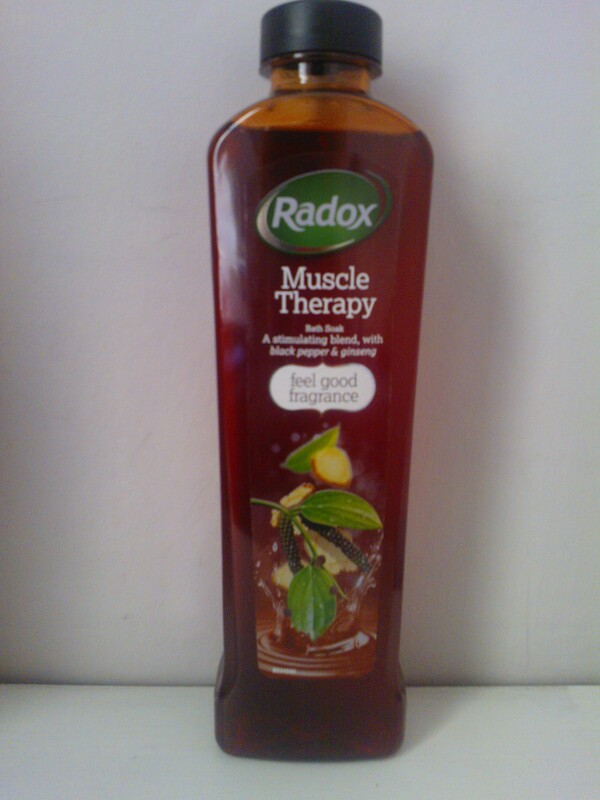 All reviews are my own and my family’s opinions and we received some of the products in order to write an honest review. Father’s Day Cards with Postsnap & Other Gift Ideas! With Father’s Day coming up, we all start thinking about cards, and what better than creating a personalised card for your dad, adding in photos and your own text to make a truly unique design. This is where Postsnap come in, with their really simple greeting card app that even my children could guide themselves through to create the perfect card for daddy this year. The app is really simple to use and can be downloaded on to any Apple device, we used daddy’s iPad but told him not to look so we can keep the cards a surprise until Father’s Day. I like that they’ve kept the options simple so you can literally click through in a few minutes and create a fully personalised card. It takes you through in simple steps, choosing what sort of card you want, the design you want, allows you to add photos, then text and that’s it – card made!! Just wait for it to pop through the post a couple of days later. The cards are really simple to put together and what I liked about the photographs is that if you don’t have any suitable ones to use, you can just use the iPad within the app to take a photo of the person and it inserts it straight into the box on the card that you have selected. No messing around taking photos and uploading them! I’m really pleased with these cards, they arrived with a blank envelope and both the card and envelope are of a high quality. I know daddy will love these cards and they’ll be kept as keepsakes for many years. 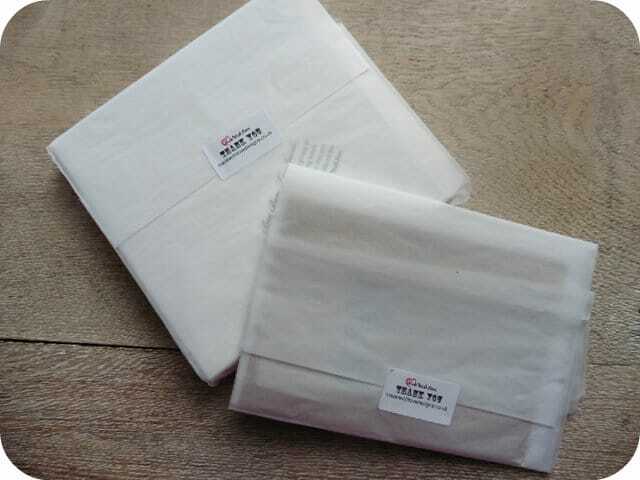 If you are looking for a present for your dad or husband this year then why not go down the useful and practical route of underwear, something that every man needs and doesn’t end up as clutter! House of Fraser have some great socks and boxer shorts sets available. How about this brightly coloured boxset of trunks by Diesel, containing three pairs of funky coloured underwear that comfortable to wear, great for everyday use. Or how this Emma Bridgewater mug with ‘Dad is my Hero’ printed on the outside in a fun italic print. The mug is a good size too with being able to hold half a pint of liquid. It’s a really nice style too and would make a great gift. With Father’s Day on it’s way, Sunday 21st June to be exact, it’s time to think about cards, a small token to give your dad to say thank you for being there and showing your appreciation for his support over the years. Made With Love have some unique and different designs from anywhere else I’ve seen, all made to a high standard on excellent quality card. 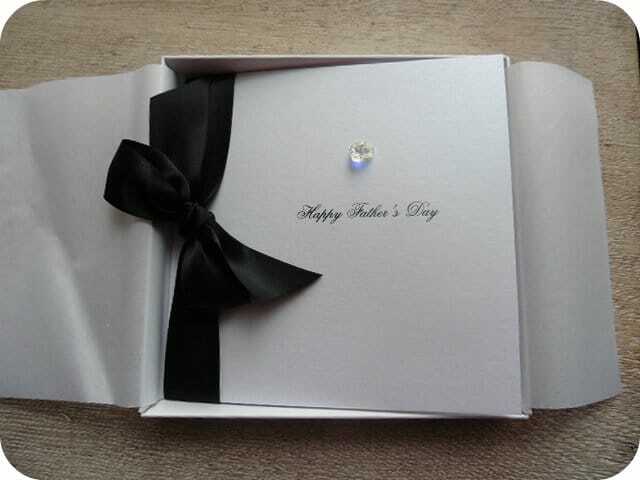 We received the Bedazzled Luxury Boxed Father’s Day Card, which comes in a choice of coloured ribbon of which we chose black. 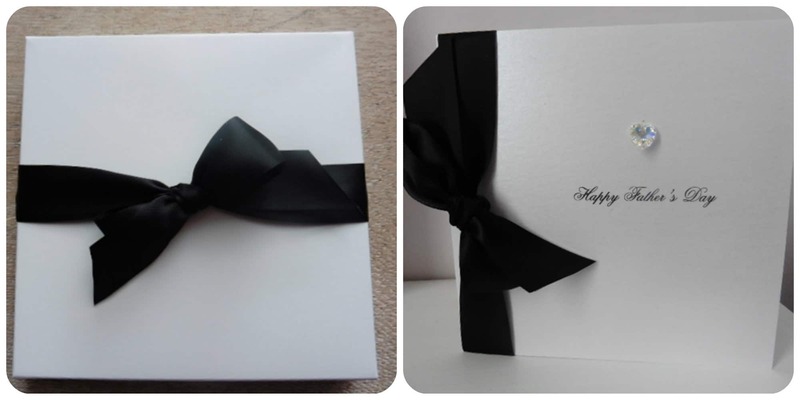 This fabulous high quality card comes in it’s own box lined with tissue rather than an envelope and comes with a ready tied bow to add to the outside of the box once you have written the card. The card contains a luxury satin ribbon down the side and a certified genuine Swarovski crystal heart thread onto 24k gold wire in the centre of the card. The card has a simplistic but classy design to it. We also received a card perfect for a child to give to their dad. 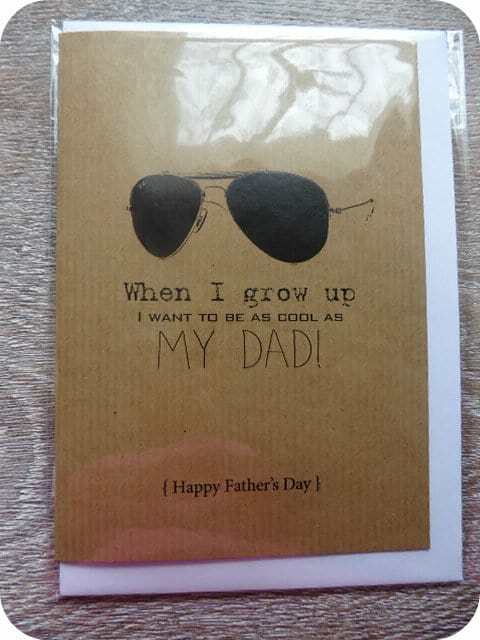 “When I grow up I want to be as cool as my dad” card features a pair of cool shades along with a simple message. The card is simple in design but conveys a fun message and is printed on quality card. We like all the designs from Made With Love, they really are a little bit different from other Father’s Day cards I’ve seen and definitely have a great feel and quality about them. They have a number of different designs to suit everyone so why not take a look, they may just have the one for your dad!